Hypothyroidism may have strong impact on your blood pressure. 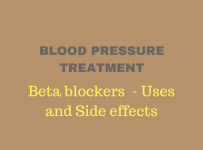 High blood pressure may occur either alone (as a primary disease) or as complication of other diseases. When high blood pressure is the result of a certain illness is called secondary hypertension. Disorders of the thyroid gland can lead to unstable blood pressure. Thyroid gland belongs to a group of organs that together constitute the endocrine system. The endocrine system affects all body functions, by sending messages to organs through certain chemical substances that play the role of mediator. Among multiple other functions, it also regulates many indicators of heart function, like the intensity and frequency of heartbeat and blood flow. Thyroid gland is a butterfly-shaped gland located in the neck, below Adam’s apple. T3 is 3-4 times more potent than T4 and the major part of released T4 is normally converted to T3. There is certain equilibrium between them and another hormone called TSH (thyroid-stimulating hormone) which is produced by hypophysis (a pea sized gland located between the two brain hemispheres). TSH tends to increase if thyroid hormones are low. Conversely it is decreased if thyroid hormones are too high. T4 is not converted to T3. TSH is increased in order to “wake up” the thyroid gland to produce adequate amount of T3 and T4 hormones. Hypothyroidism is a slow onset disease that may go unnoticed for years. Chief complains are easy fatigue, sleepiness, depression, constipation and cold skin. 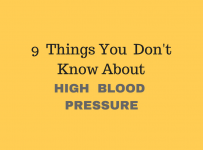 3% of patients suffer from high blood pressure which often appears later in the course of disease. Hypertension occurs as a result of blood vessel damage and eventual kidney dysfunction and leads to increase of systolic pressure. Elevated diastolic pressure in an otherwise healthy elderly person must raise the suspicion of hypothyroidism. How Does Hypothyroidism affect blood Pressure? Aortic stiffness: Blood vessels are composed of collagen fibers. In case of thyroid disease there is a defective collagen turnover that affects the quality of blood vessel walls, making them less compliant. High cholesterol and triglyceride counts: Cholesterol builds up inside the inner layer of arterial wall, leading to the formation of plaques which render arteries narrow and stiff. Decreased free T3 (FT3): T3 acts to keep blood pressure between normal limits. Thyroid hormone therapy decreases aortic stiffness, promoting decreased blood pressure in about 50 percent of patients. Thyroid dysfunction is expressed with normal serum levels of thyroid hormones and increased serum thyroid-stimulating hormone (TSH) levels. It is common in elderly people and it is not clear if it should be always treated. Levothyroxine in low doses is recommended for selected cases as for instance, when there is a certain cause of hypothyroidism like an autoimmune disease. Subclinical hypothyroidism causes vague symptoms that may be interpreted as depression or chronic fatigue. 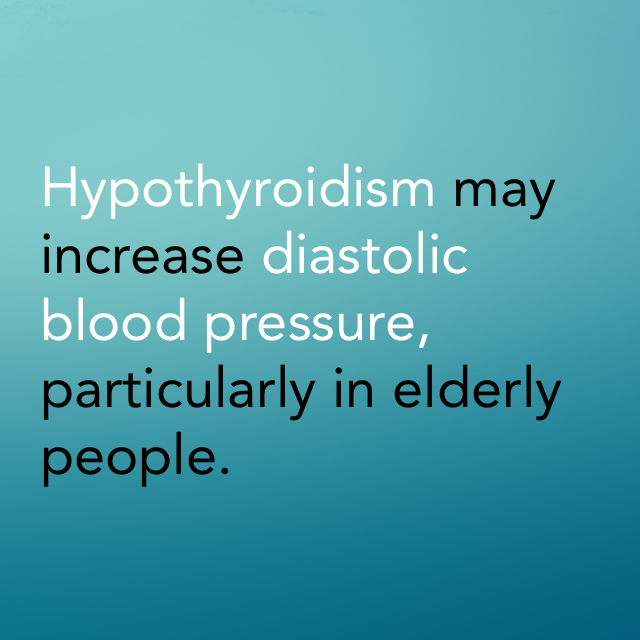 Hypothyroidism may be suspected in an elderly patient with high diastolic blood pressure. 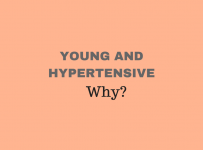 20-30% of patients with hyperthyroidism have increased blood pressure, mostly the systolic component, while diastolic is normal or low. Thyrotoxicosis is a type of hyperthyroidism that leads more frequently to hypertension. 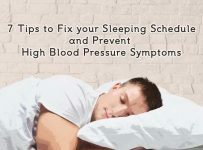 Blood pressure spikes are common, particularly during the outbreaks of hyperthyroidism the so called thyrotoxic crises. Hypothyroidism and hypertension.Stabouli S, Papakatsika S, Kotsis V.Expert Rev Cardiovasc Ther. 2010 Nov;8(11):1559-65. doi: 10.1586/erc.10.141. Review. Effects of thyroid replacement therapy on arterial blood pressure in patients with hypertension and hypothyroidism. Dernellis J, Panaretou M. Am Heart J. April 2002;143:718–24.